Cycling is highly popular among Bratislava residents. Around Bratislava, there are numerous excellent cycling routes marked with a big C sign. Here are some route suggestions for enjoyable cycling trips. Perhaps the most popular cycling route follows the south (right) bank of the Danube towards Danubiana Meulensteen Art Museum on a Danube dam at Cunovo. The museum is about 15 km away from the city centre and there are numerous cafes and bars along the way. This route is also very popular among roller skaters as there is a road especially for them for a portion of the route. From Cunovo the cycling route continues to the Gabcikovo dam, which is about 70 km away from the city centre. More enthusiastic cyclists may continue following the cycling route all the way to the Hungarian border at Sturovo (160 km). For mountain biking try the cycle paths of Small Carpathian Mountains. The Rohatka downhill mountain biking path with artificial obstacles opened in 2005. Excellent routes begin from the TV-tower. The Small Carpathian Wine Road is also highly popular among cyclists. Bratislava Bike Point is located at the crossroads of two international cycling routes EUROVELO 6 a EUROVELO 13 at Viedenská cesta on the parking lot of the restaurant UFO. It serves as an information centre for cyclo-tourists, safe storage for those who want to see the city without worrying about their bikes and luggage. It operates also bike rental shop and offers guided biking tours. 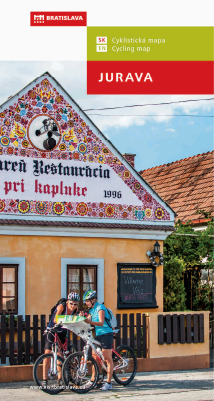 BikeBratislava is the best way to explore Bratislava and its surroundings. The network of routes with connections to Austria and Hungary offers places worth a visit. 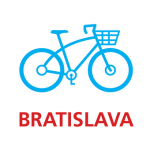 BikeBratislava is the largest bike and scooter rental in Bratislava providing a complete assistance for cyclists and other services.